Research Summary: A pathological hallmark of experimental autoimmune encephalomyelitis (EAE), a murine model of multiple sclerosis (MS), is the presence of myeloid cell infiltrates at demyelinated lesion sites within the spinal cord. Under homeostatic conditions, the blood-brain barrier (BB) impedes the entry of most blood-borne complex molecules and cells into the central nervous system (CNS) and previous work by others and us has demonstrated that the blood myelomonocytic cells that accumulate within the CNS drive EAE progression. My research aims to characterize the phenotype of infiltrating myeloid cells over the development and progression of EAE and to compare/contrast the activation pattern of these cells to that of microglia, the CNS-resident myeloid cell population. Another facet of my research focuses on describing the changes that occur to the BBB following the induction of EAE and how these changes affect blood myelomonocytic cell infiltration into the CNS. Personal Summary: I completed my PhD at Simon Fraser University in the Department of Biomedical Physiology and Kinesiology where I investigated the potential of bone marrow-derived cells to function as treatment vehicles for neurodegenerative disease. Coral has started a new Job at Stem Cell Technology as Project Manager. Robert is now working at Stem Cell Technology as a Research Scientist. Research Summary: The role of euchromatic histone methyltransferase 2 (G9a) in mesenchymal development. Ehmt2 (euchromatic histone-lysine N-methyltransferase 2), aka. G9a, has been characterised as an epigenetic regulator, and implicated in many cell fate processes. Ehmt2 is potentially an important regulator in the development of mesenchymal tissues. ​Employing various conditional knockout models in vivo, Regan investigates the importance of this gene in skeletal muscle development, regeneration, craniofacial development, and adipose tissue development. Regan is now working in the Marketing Department at Stem Cell Technology. A shift towards physically undemanding work combined with diets high in carbohydrates and saturated fat has laid the ground for the current obesity epidemic worldwide. In this scenario, the adipocyte, a major regulator of energy balance, plays both a beneficial and a detrimental role in metabolism. My research focuses on the genetic, molecular and physiological cues that drive mesenchymal stem cells (MSCs) into the adipogenic lineage. Specifically, I am interested in the systemic and microenvironmental signals that control the behavior (proliferation, differentiation and death) of adipocyte progenitors/MSCs in vivo. After obtaining my M.Sc. from the University of Buenos Aires I did my doctoral work at the Oregon National Primate Research Center, where I studied regulatory mechanisms of gene expression in the hypothalamus-pituitary-adrenal axis. I love my family and friends, and enjoy traveling, sailing, reading and scoring nice goals. Dario is now Research Associate at Harvard Medical School. "I am an undergraduate Honours Biology student at UBC, currently doing my thesis in the Rossi Lab. Broadly, I am interested in the role of inflammation in regeneration of skeletal muscle. More specifically, I am interested in the role of natural killer cells in the stem cell niche during regeneration. My other interests include hiking, camping, and bicycle touring. I recently completed a solo bicycle tour from Vancouver to San Diego, where I slept in my hammock down the beautiful Pacific coast." David first joined the Rossi Lab in the middle of his grade 10 year. He has been working with Regan and Joey to investigate the role of euchromatic histone-lysine N-methyltransferase 2 (G9a/EHMT2) in both muscle regeneration and acute myeloid leukemia. Outside of the lab, David has a wide array of interests such as following european football, playing the trumpet, singing, cooking, running, kayaking, and scuba diving. After a short PostDoc at Stanford University, Ben is now an Associate at McKinsey & Company. William Kennedy worked in the Rossi Lab for a year as a CYTOF Specialist: ALS, a disease characterized by the rapid degeneration of motor neurons, is characterized by progressive inflammation in the peripheral tissues. There is a increasing need to elucidate the role and timing of this inflammation in ALS patients by surveying peripheral immune responses in the blood. Recently, the CyTOF has been shown as a powerful tool to demonstrate the depth and variety of cell populations, and therefore serves as a unique opportunity to understand disease progression in ALS patients. My role involves spearheading initiatives for Cytof analysis to highlight the power of this unique instrument. Please feel free to contact me for additional information. William was accepted into Med school in Calgary University. "I am a 4th year undergraduate student at UBC majoring in Biology. ​by assisting Dr. Marcela Low in the Rossi Lab with her work on FAPs. Outside of the lab I am either in the dance studio, fitness center or exploring Vancouver landscapes." Andrew is now pursuing a Master in Xiaoyan Jiang's Lab at BC cancer. Studying at the University of British Columbia, I am entering my second year studying Honours Biophysics to pursue an understanding of biological systems via physical phenomenon. This drive has led me to the Rossi Lab where I am assisting Dr. Marine Theret in her research involving various signalling pathways critical in fibro/adipogenic progenitor cells (FAP) and macrophage (MP) differentiation, proliferation, and survival while also studying the effects of alterations to these pathways on muscle homeostasis and in chronic muscle damage via transgenic models. I hail from northern British Columbia where no people dare go (or very few at least), therefore of course; I love being outside! My favorite hobbies are hiking and kayaking, but I also enjoy laying back and relaxing with family and friends, be it on the beach or in the woods. Melina successfully eded her master at Lund university in Sweden and she in September 2017 will start her PhD in McNagny Lab. In the meantime she is still eagerly working at the BRC and helping out with the Cytof. Research Interests in the Rossi's Lab: Pretheeban is interested in identifying the pro-myogenic signalling pathways regulated by mesenchymal progenitors (MPs) and inflammatory cells in myogenic cells during skeletal muscle regeneration. Activation, proliferation, differentiation and self-renewal of myogenic progenitors (satellite cells) depend on cell autonomous and non-cell autonomous regulatory mechanisms. A type of non-myogenic mesenchymal stem cells, called Fibro/adipogenic progenitors (FAPs) due to their prevalent developmental potential, proliferate upon muscle injury to generate a transient niche that actively regulates myogenic progression by providing both trophic and pro-myogenic signals to satellite cells. His project is to develop a method to investigate the signalling pathways activated in myogenic cells by FAPs and to identify small molecules capable of modulating the effects of FAPs on myogenic cells. Ultimate goal of his study is to identify compounds and therapeutic targets to stimulate regeneration in muscle diseases such as muscular dystrophy and prevent muscle loss in aging. Biographical sketch: Pretheeban completed his undergraduate degree in Veterinary Medicine (B.V.Sc) at University of Peradeniya, Sri Lanka. 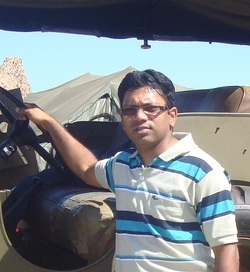 He worked as a Junior Clinician at the Department of Veterinary Clinical Sciences, University of Peradeniya for a year (Companion animal medicine and surgery, Elephant Tranquilization) and moved to University of British Columbia to follow doctoral study in Reproductive Physiology. His long time interest in Stem Cell Biology and Regenerative Medicine lead him to join Fabio Rossi’s lab for the current postdoctoral training. I am currently an undergraduate student at Queen's University studying Biochemistry and Life Sciences. Outside of the lab, I love to spend time with family and friends and enjoy breakdancing, basketball, soccer, and producing hip hop music! I am also keen on global health initiatives and community medicine. I joined the Rossi Lab in the summer of 2011 as a high school senior, having mentors such as Dr. Bahareh Ajami and Dr. Leslie So Alfaro. and again in the summer of 2013 as a Centre for Blood Research Undergraduate fellow under the guidance of Dr. Coral Ann Lewis in the Dr Rossi's Lab! ​Jack was accepted at UBC Medical School. I have a great passion for scientific research. Immigrating to Canada has provided me the opportunity to pursue this aspiration, specifically in the area of stem cell research and their potential applications for cardiac regeneration. Christina left the Rossi's Lab to relocate in China. Graduated from High school in 2014. For eight months, Claudia joined the Rossi Lab to illustrate scientific research and findings. These illustrations will be used as a communicative tool for publications, grants, and presentations to enhance the understanding of complex biological systems. Claudia is currently an undergraduate co-op student at McMaster University studying Chemical Biology. While working as a radio host in 2012, she became passionate about communicating to the public, and decided to channel that energy towards science. Combining her understanding of science with her love of art, Claudia creates scientific illustrations to further people’s interest in biomedical research. Outside of the work environment, Claudia enjoys painting, drawing, attending concerts, and travelling. In the Rossi Lab under the guidance of Dr. Coral Ann Lewis, I am investigating the role of microglia and blood-derived macrophages in the development and progression of EAE, the murine model of multiple sclerosis. By identifying the changes in gene expression of infiltrating macrophages and microglia that occur between peak and recovery stages of disease, we hope to find new targets for therapeutic intervention in the progression of myelin and neuronal degeneration. Gloria worked at the Rossi Lab with Dr. Robert Judson investigating pathways and mechanisms of skeletal muscle growth and regeneration. The projects she is working on focus on increased understanding of interactions, functions, signalling of satellite cells. Gloria is completing a Biology degree at the University of British of Columbia. 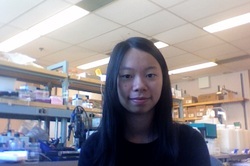 As of December 2014, Gloria will have worked for eight months as an undergraduate co-op student at the Rossi Lab. 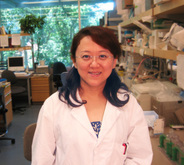 Prior to that, she worked at the Stem Cell Assay Lab at the BC Cancer Research Centre in the Terry Fox Laboratory. When she is not doing lab work, she enjoys reading, swimming, and photography. ​I am an undergraduate student at Quest University Canada, located in Squamish BC. My program is Liberal Arts and Sciences, but my academic interests are in the life sciences, specifically medicine and genetics. This is young and passionate science student Raymond. I felt I have an inborn nature to pursue scientific truth in the most critical, skeptical, and impartial way. I am Dr.Low’s student in the Rossi Lab and my research involves delineating the effects of TGFb pathway on the fibrotic process of FAP cells. I am an avid sportsman in leisure times and my philosophy in sports is always trying to challenge myself on the things I could not do before. 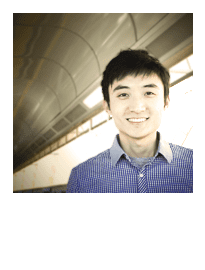 ​Raymond is currently a Student at UBC. After first year of undergrad, Curtis developed an interest in cellular biology and immunology, thus leading him to apply at the Rossi Lab. Under the supervision of Dr. Elena Groppa, Curtis is helping to establish possible cellular mechanisms that induce or partake in the remodeling of damaged muscle fibers. Mesenchymal cells, such as fibro/adipogenic progenitors (FAPs), are being studied in particular to identify their role in this regenerative process. In his free time, Curtis can be found enjoying outdoor activities, hanging out with family and friends, or competing in badminton.